poverty. Learn more from myAgro’s founder here. functions, including Logistics, IT, Finance and Admin, to support the Tanzania program’s success. Manager will report to the Country Director of Tanzania. Hire, train, guide and direct managers of the Operations departments, 4 to 5 people directly and 20 to 25 indirectly. 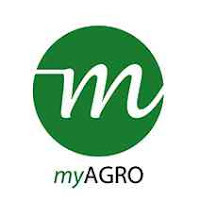 Ensure team stays compliant with myAgro’s procurement rules and guidelines and ensure donor guidelines are respected. federal, provincial and local laws governing nondiscrimination in employment.